Flavorful chicken, and perfectly cooked rice. Lettuce and tomato were cool and crisp. Normally I like food from the DC Greek truck. Always choose #1. Today it was awful. The chicken was old and dry. The only grilled vegetable was red onion. Lamb was mixed in my rice and the most disturbing thing was he saturated my entire meal with the Greek sauce without asking. The sauce covered up the fact I had basically no grilled veggies but onion. Why not say they\'re out of veggies or its late in the afternoon and supplies are getting low..I couldn\'t even eat the food. [redacted]! A fair amount of grilled chicken (not dry at all), Feta and olives on the salad. The greens were mostly Iceberg, possibly a little Romaine mixed in. A fair amount of grilled chicken (not dry at all), Feta and olives on the salad. The greens were mostly Iceberg, possibly a little Romaine mixed in. The tomato slices were skimpy--they can do better than that. Prices are great in relation to other food trucks, enough to fill anybody up for just eight bucks. Tastes great too. I have fallen in love with Greek!!! I live in MD but am moving soon and one of my goals before moving is getting back into DC specifically to get to the DC Greek Food Truck...DELICIOUS!!! This is one of my favorite trucks. The food is great and so is the service. You get a lot of food and it tastes great. 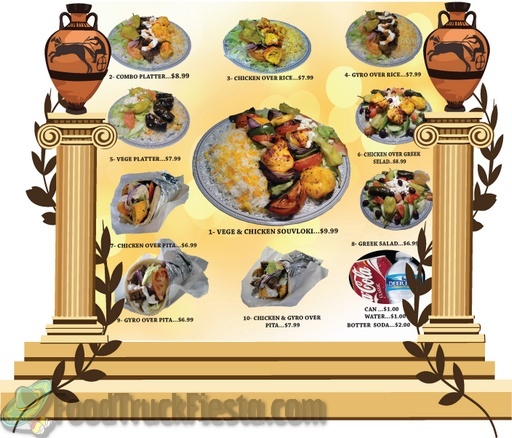 I never was into Greek food until I decided to try this truck and I won't go to another truck now. Their food is excellent!!!! Paid $8 for a veggie platter (they added tax to the posted price, which just forced me to go through change on a rainy, cold day). It was gross. There were five tiny grape leave portions, and the rest of the plate was just cheap lettuce, ranch sauce and soggy rice. Oh, there were also two TINY slices of unripe tomatoes. I think the entire plate cost them $1 to make, and the rest is cushy profit for them. Will never go back! You can get more bang for your buck at the other food trucks. Another good option in the plentiful world of greek/halal food. The chicken and rice was decent, but a couple more bits of chicken would have been better. Next time, I'm going for the chicken in a pita. i like vege platter. It was very good taste. 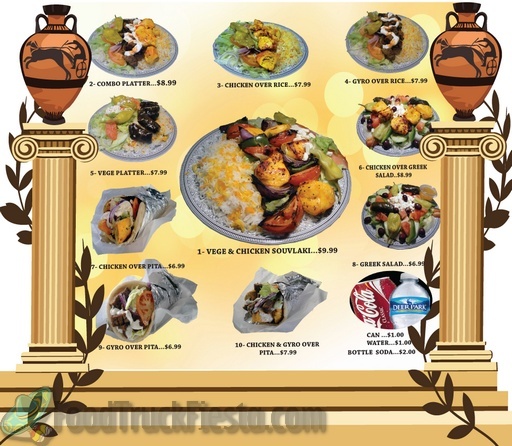 I liked feta cheese and dolmades and good flavor rice. 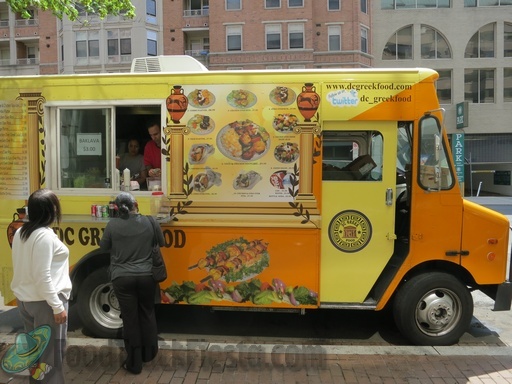 DC Greek Food serves up Greek cuisine. They launched on July 20, 2012.